Keep track of all your projects with secure on-premise Kanban solution for enterprises. On-Site as a virtual machine on your own server and gain complete control over your data. Manage data backups according to your internal policy and do not worry about sending sensitive data to the cloud. 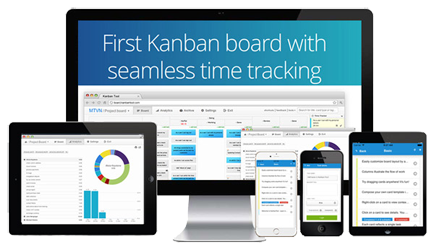 Kanban Tool On-Site is available for teams of 10+ users. Contact us, download Kanban Tool On-Site and install it as a virtual machine on your own server. Finally, enjoy the smarter way of working together. From startups to top Fortune 500 companies, Kanban Tool helps teams achieve better results: extreme team collaboration performance and enhanced communication. Learn more about the benefits of Kanban Tool On-Site. your organization accomplish exceptional results.